My love for the anime series "Kare Kano" brought me to the books, and the first several volumes offered the same mix of humor and poetic introspection that made me love the anime. 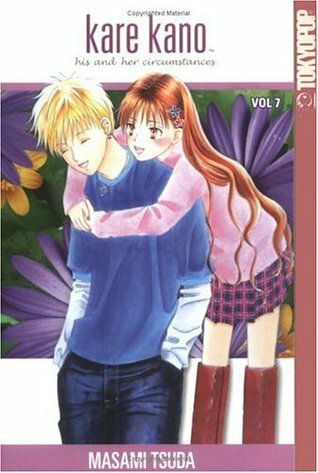 In Volume 7, however, author Masami Tsuda seems to be running out of steam. She spends more of the book dealing with the side story of a transfer student and his love-hate relationship with secondary character Sakura (a girl who happens to look a lot like the male protagonist Soichiro). I realize I'm not the target audience for these manga (that would be preteen girls, most likely), but if this volume had been the first one I'd read, I never would have read more. Sign into Goodreads to see if any of your friends have read Kare Kano.